Estrogen is the key factor when it comes to breast size, shape and development. During puberty estrogen and other hormones are released into the body which when combined trigger the development of breast tissue. Several factors combine to play a role in this development process. If one or more elements are not present or off-balance during this process the full potential of a woman�s development will not be obtained. This is why we recommend you try Mammorex today! Most people think that young women with higher levels of estrogen tend to develop larger breasts than young women with lower levels of estrogen, but we now know that there are several factors involved in the development process. Modern science has opened the door to many breast development secrets over the last few years. We now know that once puberty is over the level of hormones in your body tapers off, and the growth of new breast tissue tapers off right along with it. Now through modern science we are able to stimulate these hormones and trigger the breast tissue to grow once again with Mammorex. You are probably asking your self how this can happen, it has been discovered that certain plants produce phyto-estrogens substances that are chemically similar to the human hormone estrogen. By adding these naturally estrogenic herbs to your diet, you can kick-start the release of estrogen in your body and trigger the development of new breast tissue. It is important to keep your body in balance during this process so that all of the development factors are playing their roles during your transformation. 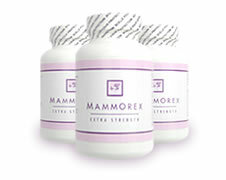 Mammorex combines all of the necessary ingredients to maximize your full growth potential.